Steel Plate is a positive community of people from every walk of life. Each with different goals set and all starting at varying fitness levels. We are all on a journey to be the best and healthiest version of ourselves. We achieve this through the combination of fitness training that is adaptable to all fitness levels. Our training will challenge you physically and mentally to achieve the fitness level you desire. We are a family helping each other grow as individuals in our everyday life and also as athletes. This is a journey that we take with the utmost responsibility as coaches in our programming and in our instruction. Our goal is for you to learn, achieve your goals and have fun doing it. The value we offer is exemplified in our training philosophy and our genuine care for each individual athlete. We will focus on Patience, Mechanics, Consistency, Strength and Intensity. Our passion for what we do will shine through our sincerity, instruction and interaction with each athlete. Our satisfaction and happiness is helping each individual achieve a level of fitness they never thought was possible by challenging you and believing in you. We are a St. Louis CrossFit Gym located on South Brentwood in Webster Groves. 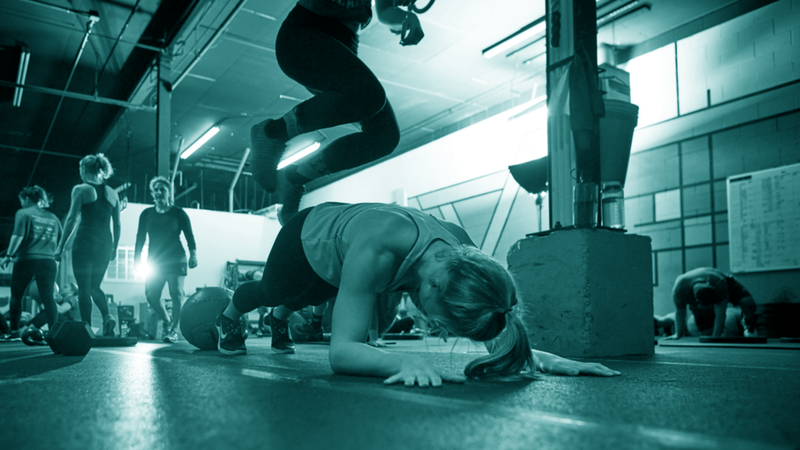 We offer CrossFit Classes, Bootcamp Classes, Personal Training also Strength and Conditioning for Athletes of all ages. © 2016 Steelplate Crossfit. All Rights Reserved. Website by Chancellor Creative.